A little good news to start the week. 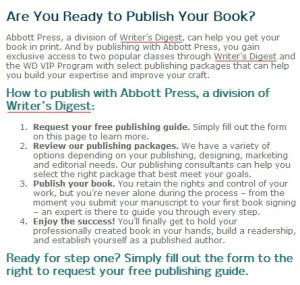 I have some huge news: Writer’s Digest has terminated its partnership with Author Solutions. 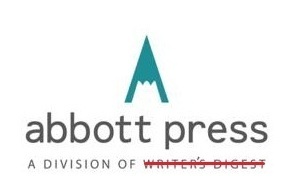 Abbott Press – the imprint launched by Writer’s Digest, parent company F+W Media, and white-label vanity press provider Author Solutions – is still operational, but all ties to Writer’s Digest have been cut. Cached version showing Writer’s Digest links.